The Hardy brothers must dismantle a dangerous crime gang in this first book of a fresh approach to a classic series. Teenagers Frank and Joe Hardy are supposedly “retired” from their detective work. But there is a new mystery in Bayport that needs their investigative expertise—and fast! Starting with a bank heist, a series of alarming pranks have popped up around Bayport. Ultimately harmless, the pranks turn out to be the work of Seth Diller, an amateur filmmaker who plans to make “zillions” from his reality-horror flick, which he’ll use to help out his brother, a wounded Marine. But after the Hardy brothers put a stop to the Panic Project, there is a new outbreak of Seth-like pranks—only these have definite victims. All signs point to evidence of a crime gang in Bayport, and Frank and Joe undertake the most dangerous investigation they’ve ever encountered. 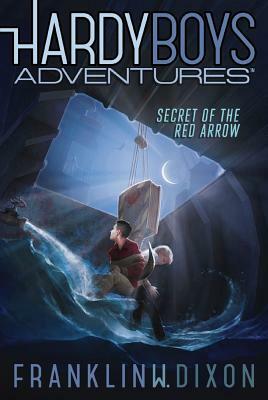 It’s up to them to save their town—and themselves—before the Red Arrow gets to them first.